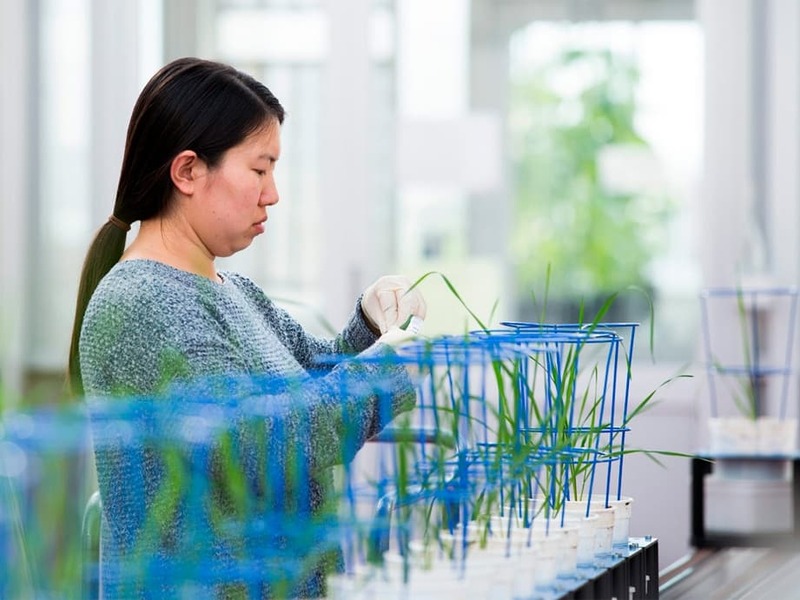 The Australian Plant Phenomics Facility (APPF) supports excellence in research and offers access to state-of-the-art plant phenotyping technology and plant growth environments to national and international publicly-funded researchers and industry users. Our multi-disciplinary team provides expert consultation in plant phenomics and is dedicated to assisting you in the design and management of your experiment. We encourage facility users to discuss their requirements and project design with us prior to submitting an application form in order to optimise your proposal and research outcome. Our streamlined application process involves the submission of a booking sheet / request for service form, assessment of the project proposal, preparation of a quote and the completion of a facility access agreement. To discuss your project with our Scientific Team, head to our Contact page to find their contact details. To make a booking head to the Technology page. All technology and services include a link to specific booking sheets. The Australian Plant Phenomics Facility is passionate about supporting the next generation of plant scientists, and is enthusiastic about highly motivated and research focussed postgraduate students joining its team as an interns. In order to attract the very best students, we provide postgraduate internships as one of our grant offerings. Do you need support to access APPF services and technology? The APPF is committed to facilitating world-class plant phenomics research. 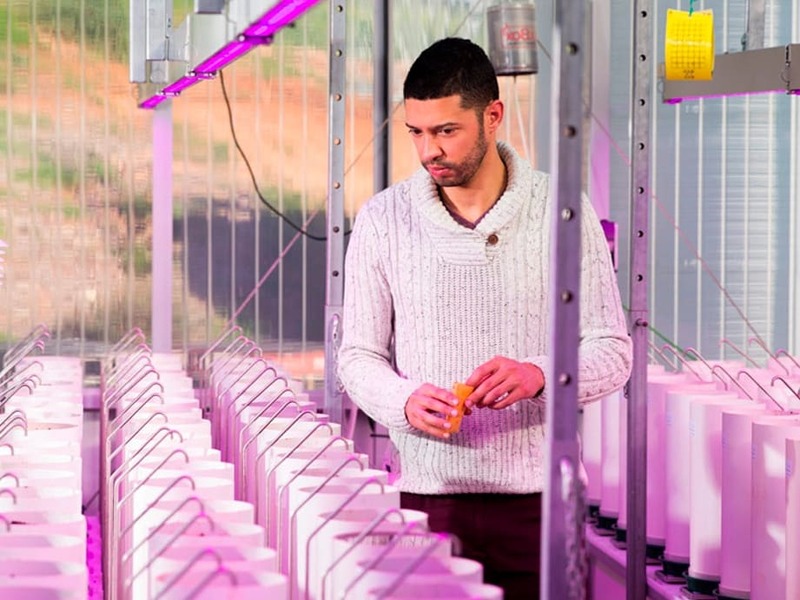 To assist with access to our state-of-the-art plant phenotyping technology and growth environments, we offer support to postgraduate students from varied disciplines to access the very best tools and experience to accelerate their research. In addition, we list grant directories below that may assist both researchers and students in finding further support. If you know of other international directories that should be included on this list, please let us know. The Postgraduate Internship Awards (PIA) involve students joining the APPF team as interns, learning about experimental design, and image and data analysis, as they undertake collaborative projects using our cutting-edge plant phenotyping technology. This is an excellent opportunity for students to investigate their plant science questions with the support of the highly skilled APPF team. EURAXESS Funding Search: Lists funding schemes that allow a researcher to move to and from the UK. GrantFinder: Australia-wide grants directory for business, innovation, and education. Grants.gov: All discretionary grants offered by the 26 US Federal grant-making agencies. GrantSearch: Australian funding database (fee-based subscription) for study, travel, research, the arts and more. HHS.gov: Grants available from the US Department of Health and Human Services (HHS). Newton’s List: Free tool for funders and grant seekers interested in collaborative international research and education. Research Data Australia: Research grants discovery service for research grants and projects in Australia. Research Professional: An online service providing access to research funding opportunities from Australian and global sponsors, authoritative research news and policy development, and expert guidance for winning research funding (requires subscription). SPIN: The SPIN research funding opportunity database contains over 40,000 opportunities from more than 10,000 sponsors (requires subscription). The services and expertise available to researchers through the APPF are subsidised by NCRIS as part of the national strategy to make research infrastructure accessible and affordable. Acknowledgements are evidence that investments in equipment and people have led to important outcomes, which in turn builds the case for future investments. What do researchers say about their experience at the APPF? “I had the honour to facilitate an essential part of my research at The Australian Plant Phemonics Facility. Firstly, the team is a group of highly professional knowledgeable researchers with a great passion and love of science. From the application process, through the experiment at the facility and the data analysis, every person I had a chance to work with was an absolute expert. Secondly, the data that was generated throughout the experiment enabled me to meet my research milestones and to get answers for my fundamental study’s questions. Last but not least, the environment and the team spirit together with the best morning teas, made my time at the APPF’s Adelaide node an unforgettable experience”. “The staff at the APPF Adelaide is an exceptional group of individuals. Our group at the University of Nebraska has been collaborating with the researchers at this APPF node in an effort to examine the genetic basis of dynamic salinity responses in rice. Throughout this collaboration, the APPF staff has provided an extremely welcoming and engaging environment for a visiting graduate student from our lab. As with any new “omics” technology, the breadth and complexity of the data can be daunting. However, the APPF staff provided substantial support regarding image analysis and the interpretation of image-derived metrics. These efforts have come to fruition with the publication of a manuscript in 2015. “Thanks to Dr Bettina Berger and her great team at APPF Adelaide, we recently obtained the independent-testing data required by our funders to progress our project on yield improvement in crops to the next level. Although our plant species was new for TPA’s Lemnatec high-throughput phenotyping system and we had special requirements, we were quickly able to establish a strong working relationship with the APPF to troubleshoot the system and transfer our protocols prior to the large-scale trial.